The long-established jewelry-making tradition carried by generations of Italian artisans gets the boost from the features of various art styles, making these earrings an artistic well-crafted accent to any outfit and any occasion. 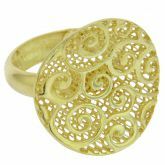 Visionary Italian designers and artisans took inspiration from traditional Italian lace patterns, Art Nouveau movement, and Eastern decorative motifs in creating these earrings, which look classic and contemporary at once. 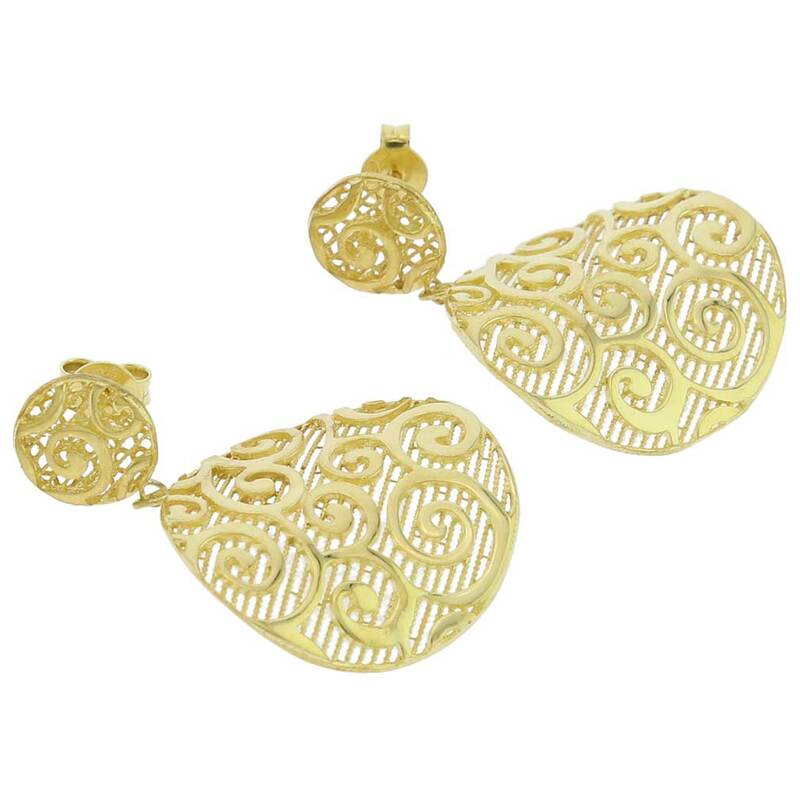 Handcrafted of sterling .925 silver plated with 24 karat gold, the earrings are high on design and workmanship factors, and appeal to women who seek unique and beautiful jewelry, and value Italian design and fashion-forward style. 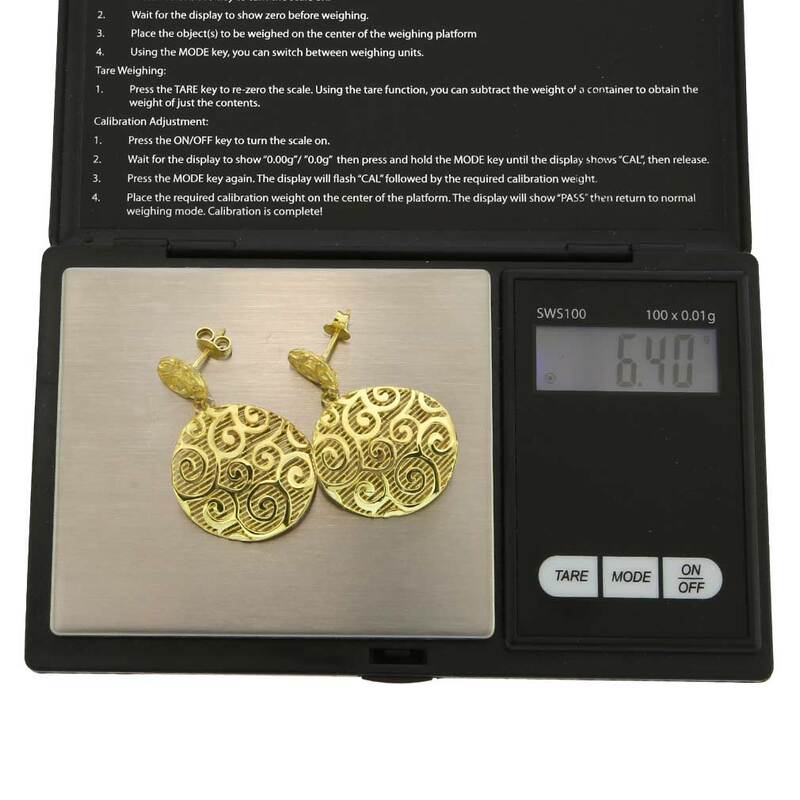 Measurements: Each earring measures about 1-1/2 inch in height and 1 inch in width. 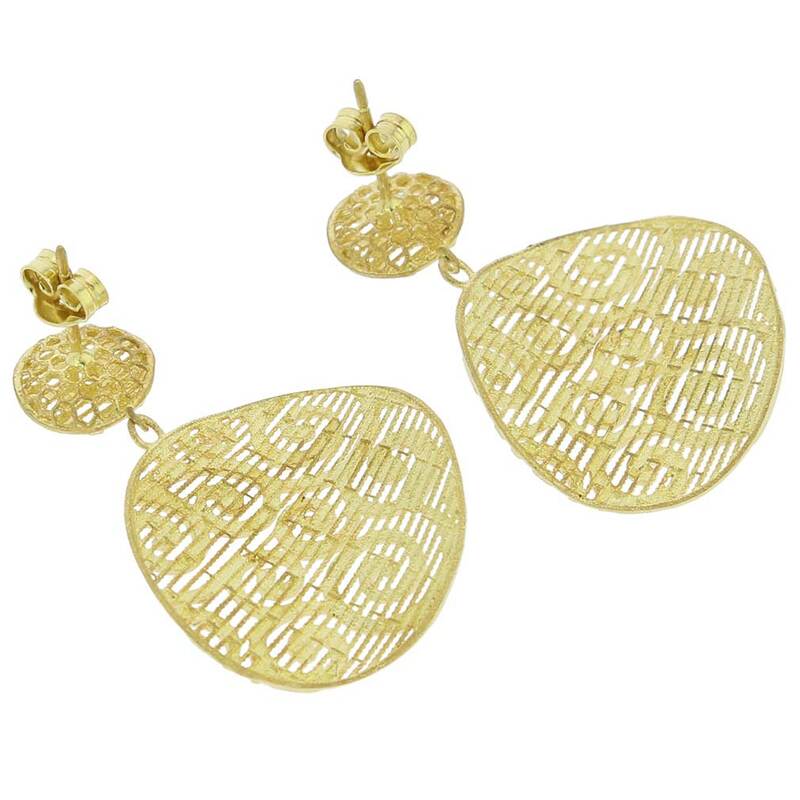 The weight of the pair of Graceful Twists earrings is approximately 6.4g. 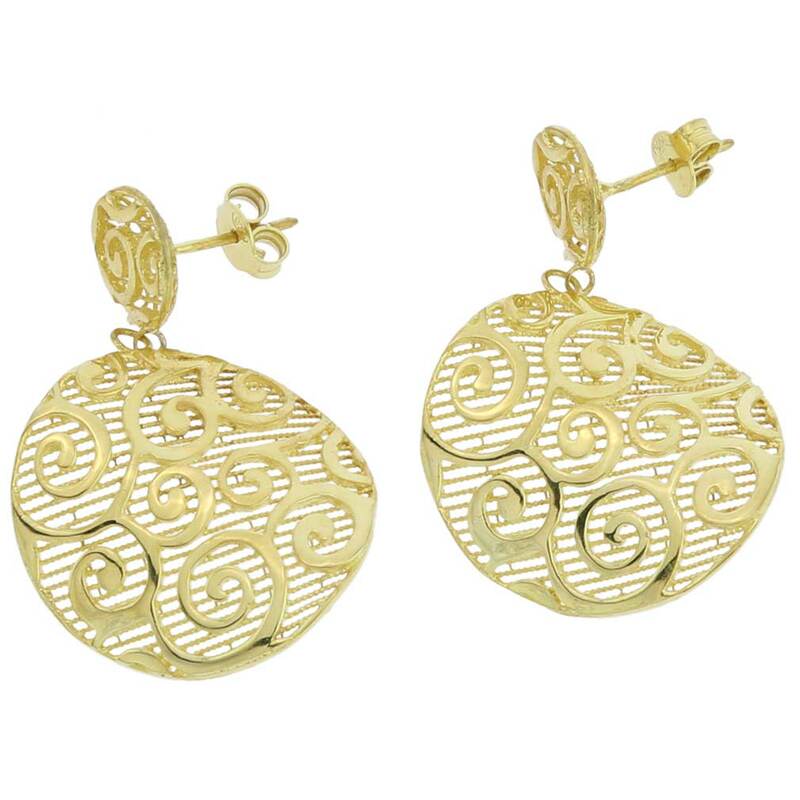 These Italian designer earrings are made of .925 Sterling Silver with 24K gold and rhodium plating to prevent tarnishing. 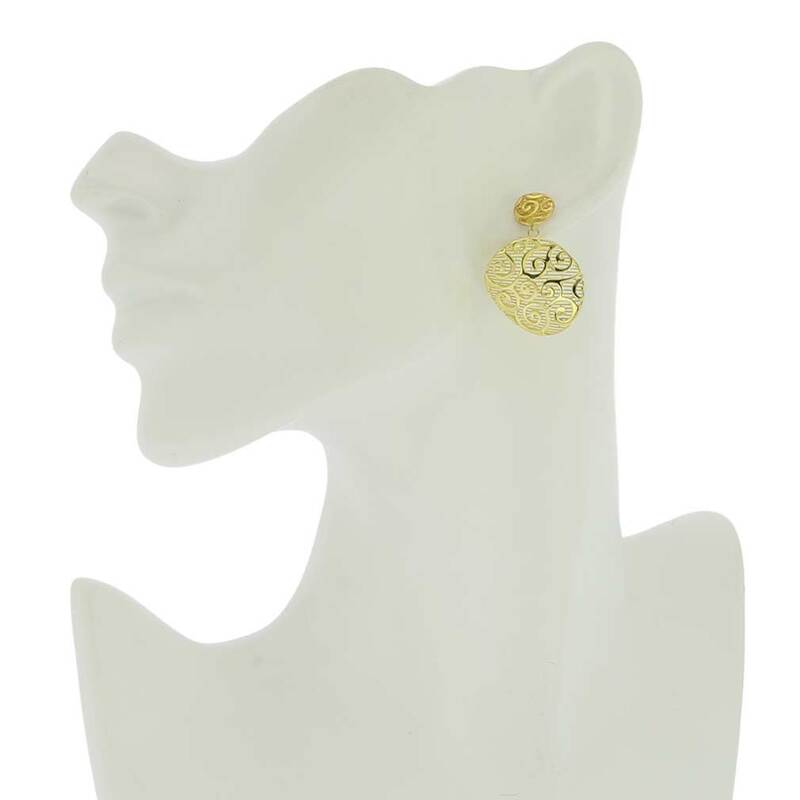 Each earring features industry-standard .925 silver stamp. These fine silver earrings come with an attractive velvet pouch. These earrings are handmade in a family silversmith workshop in Vicenza, Italy.